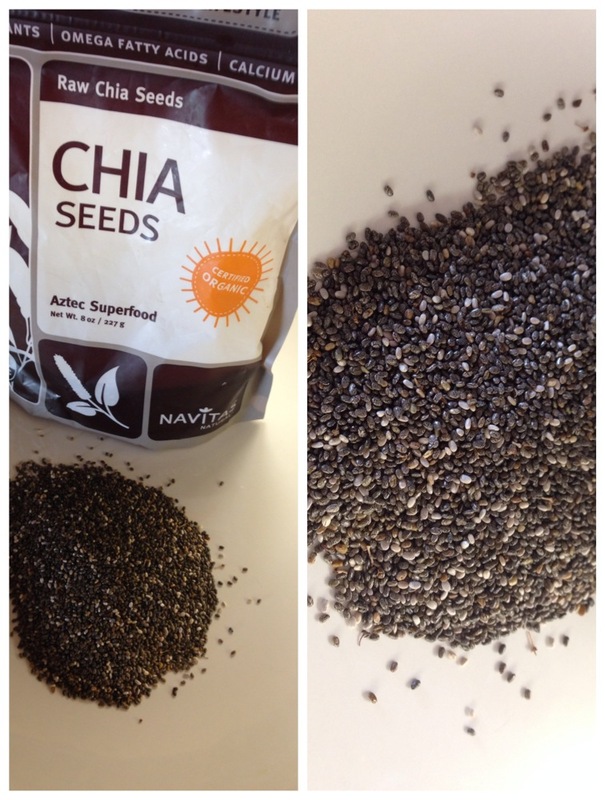 Chia Seeds for Endurance Athletes. Say hello to your new PR! Move over coffee…Chia seeds are stealing the ENERGY spotlight! When looking for a way to get more energy, you probably reach for a sugary snack and a cup, or two, of coffee. Sure this will temporarily give you energy but that kind of energy is derived through stimulation and will shortly be followed by a crash. If you want a high level of sustainable energy instead — aim for getting it via nourishment. Nourishment comes in different forms: it is a combination of things like being physically active, eating clean whole-foods, getting a good quality sleep, having meaningful relationships, practicing some form of spirituality — whether for you that means doing yoga or taking a walk in the woods etc. But also certain foods have the power to give you a quick boost of energy and stamina. Chia seeds are a great example and have rightfully earned the name “superfood”. They have been a dietary staple of the Mayans and Aztecs since 3500 BC, and at this time in history have been widely used because of their ability to increase stamina and energy over long periods of time. These endurance and hydrating properties make chia seeds to be of particular interest to marathoners and other elite athletes. With their regular consumption, you may find yourself having more energy and be able to recover from workouts faster. Naturally that preserves your energy levels and in turn allows you to train more frequently or at a higher intensity. Which is how athletes become better; not merely by being a born talent or having good genes, but by consistent training paired with proper, clean nutrition. So don’t be surprised if you hit your best PR to date this Spring! And you don’t have to be training to run 26-plus miles to benefit…now even among Wall Street’s trading desks, chia seeds are quickly becoming the stimulant of choice. And why shouldn’t they? They are healthier than coffee, cheaper (and obviously more legal) than cocaine, and less juvenile than a Red Bull drink. What’s not to like? Chia seeds are a rich source of protein as well as fiber, antioxidants, and minerals including calcium, magnesium, iron, potassium. They are also an excellent source of ALA (plant-based) omega-3 fatty acids, which are shown to have a positive impact on cardiovascular health as well as in controlling inflammation. The great thing about eating plant-based whole foods is that you can get all nutrients, vitamins and minerals directly through food, as nature intended. No need to invest in expensive supplement pills! How awesome is that? Plus they are super versatile; can be used in gluten-free breads or waffles to add fluffiness and even to replace eggs for healthier baked goods. My favorite way to eat chia is as a snack or breakfast pudding. To make the pudding, simply mix ground chia seeds with a cup of your favorite non-dairy milk – my favorite is almond milk and I like to top it with berries and pomegranate seeds for an extra boost of antioxidants. Mix well all of the above ingredients, let rest for five minutes and stir again. Refrigerate and let sit overnight. In the morning, give it a stir and check texture. If it’s too thick, simply add more almond milk. Enjoy! ← What to eat after a workout? ?